When people speak about black metal in its traditional sense, we may go back two decades, when especially in Europe the fore fathers of black metal; Venom of England, Bathory of Sweden carved a strong foothold out of the monotonous metal scene. By their use of occult topics and shattering speed, combined by the use of chords and scales of unique propensity came the foundation of what would a decade later in the nineties rekindle and epic renaissance of pagan proportions. Now a decade has past, the Norwegian scene has exploded, death, murder, and mysteries envelop the known world. The greats of Emperor, Dark Funeral, Mayhem and Gorgoroths' legendary exploits become the definition of true sense of what is now black metal as a solidified genre. But yet on an unlikey country, in the United states the first incarnation of what is now called NatterVrede formed as Phasmatis in nineteen ninety four. Inspired by the same greats of Venom, Bathory and Celtic Frost the Band Phasmatis a unique, raw, enigmatic creation made their presence known in the United States. The name Phasmatis was the old Latin term for specter, and entity not of this realm. From since its origin the band has never compromised regardless for how the scene has changed. Now in the later 90's Cathaoir recruited the likes of Heretic on Vocals, Autumnax on Bass Guitar, and one Bill Stefanski as a drummer. Towards the early 2003, the band set out to record a follow up EP "Wanderers of the Outer Darkness." With the creation of this brutally yet dark work, the band with an addition of another guitarist Ron Lestat, set out to set up a mini tour of the Northeast starting on Halloween 2003. Several shows also were scheduled for Northern Ireland, The band was now moving foreword with Blitzkrieg speed. However with all this effort what would be the darkest chapter within the band would unfold. Frequent and more serious arguments amongst the band members constantly became increasingly more dangerous. Certain band members threatened and attempted to throw other members out of the side door of the practice space; an 4 story door to nowhere next to where the band practiced/lived in an old industrial clock factory from the 1800s. With some band members becoming homeless, father getting out of prison, then thrown back in, a prior vocalist, jumping off a bridge and almost being committed to an institution, things were not right in any way. Especially since haunting started to become more frequent. But then the worst of it came. Like Demonaz of Immortal Cathaoir was Diagnosed with Carpal Tunnel with tendonitis. Cathaoir was told he would never play again, and just as the band became known and grew so it died and faded back into the darkness, and the wanderers ventured away from each other.. The year is now 2003; Cathaoir was determined to play again, and under immense pain and no way to afford any kind of health care or rehabilitation, he picked up his guitar and began to play again. A year has past and in 2004 Cathaoir healed enough to strive further into the black arts through music yet again. Teaming up with Ixion; whom helped Phasmatis out in the earlier years and audition for vocalist was set up. Ixion was hired immediately after holding a diabolical scream until bleeding out his mouth, and so forth under a funeral moon the band reformed as NatterVrede ore nights wrath under the winter solstice of 2004. The first incarnation under the Norwegian name of NatterVrede came together with all the arcane merciless obscurity of Phasmatis rekindled! The two recorded the cult EP of Keys to the Abyss. In which the Ep was greeted with much praise from the underground. "Fallen is the Storm" combined with "Keys to the Abyss" covers of Dimmu Borgir's "Broderskapet's Ring" and Venom's "Witching Hour" a few thousand downloads ensued in its first day. With Ixions Vocal and Cathaoirs guitar work and solid drums and bass reviews poured in. "An unholy creation of old school tendencies combined with the reverbs and ambience of old Phasmatis that creates a visual image of a forlorn world through the eyes of the damned" (Phantasma Magazine). 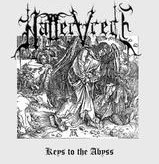 Relentless guitar attack, Ethereal subtleness and overtly tales of pagan old would be the reoccurring theme in the next Single "Kvult ist Krieg" and bring the terms of Aracne Merciless Obscurity to be defining what is the sound of NatterVrede. Kvult ist Krieg, the Follow release by NatterVrede which contained that original and a B-Side cover of Venom's "Black Metal" was an immediate success. With luminous blue flame lighting the night of the north of the underground tens of thousands sought it out. "Nebulous atmospheres, frenzied guitar attacks, diminished dark solos, enigmatic tales of the arcane produce a real old school number." (Obliveon, Infest, Yggdrasil Magazines) With much fanfare and exposure, the Bands single featured also on several Samplers, in Europe, Greece, and South America furthered the name of the band. Now in 2006 to mid 2007 with ravenous strength and unholy vigor, the two set out to record the work of Nocturnal Frost, Containing 5 originals and 3 covers. Honoring the greats of Venom's "In League with Satan", Mayhem's "Deathcrush" and Bathory's "Call from the Grave." Originals of Abyssal Nightmare, Nocturnal Frost, Eternal Bathory, Morbid, and N.F.C.C. round out a very legitimate old school work of darkness, which a label release to be named shortly for this album, the story now continues. For the underground it has been said. "With attention to true black metal, the overall mood and tales it creates despite any production; the whole mysticism and enigmatic subtleties, creates another world for anyone, a dreamscape beautifully dark and at times frightfully arcane, and it will for you." While working a drug enforcement agency was doing a stake out of the vicinity of Cathaoirs Residence, Cathaoir came off of work and went home. Dressed in normal wear, a dark funeral t shirt and black jeans, Cathaoir came hone and exited his vehicle only to have 7 under cover police officers jump out of a van and, without even stating who they were, proceeded to try to hold Cathaoir, whom not knowing whom they were fought back. Cathaoir was taken by force after a 15minute brawl till being apprehended, all the while some of the officers saying careful he's a devil worshipper. Since they had a warrant for the few buildings including Cathaoirs, though no activity of any of that came from his house directly; their finds found numerous weapons, occult books, an altar all of which Cathaoir proudly stated yes I am what it seams what about religious freedom, im not selling drugs, murdering anyone, cause I practice traditional pagan beliefs does not mean you can do this to me. Cathaoir was released but with the recording area trashed more gear needed to be replaced along with a few grimoires. To top it off the computer was knocked over and the recordings lost. With all that has now been the past, despite all difficulties and hardships the wanderers of the outer darkness emerge from the night with ominous flames, and burning with strength move foreward as the album has been completed. This epic knows no boundaries and will continue until the members are gone from this realm, the band now moves towards finding a label deal and so the new chapter begins.